Why Don’t Poor Countries Do R&D? From the World Bank – more evidence on the relationship between R&D investments (and education) and economic development.The paper can be downloaded here and 2014 WB R&D in poor countries (1). This McKinsey Global Institute report is a must read. NEU (www.neu.me) is currently developing a Master of Engineering in Big Data to address the need for engineering talent with competencies in big data management, analysis, visualization and data-driven decision making. Anyone needs more info, please contact me. We have scholarships for our first students and we are looking for full-time and part-time faculty. 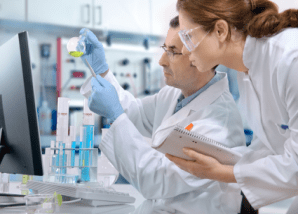 From the ITIF e-newsletter – a Dec 2012 report by Battelle states that while the US and Europe will decrease R&D spending, global spending is forecast to grow by 3.7%, or $53.7 billion in 2013 to $1.496 trillion. The largest share of this increase, $22.9 billion, is expected to come from China, which continues its decade-long annual double digit increases in R&D investments. Through its Innovation 2020 strategy, China plans to invest $1.5 trillion over the next seven years on seven “strategic emerging industries,” namely: energy efficiency and environmental protection technologies; next generation information technology; biotechnology; high-end equipment manufacturing; new energy; new materials and alternative fuel vehicles. A Matter of Degrees – t his Miliken study arrives at a perfect time… It demonstrates a clear link between a region’s economic prosperity and the educational achievement of its workforce (US data). The study aims is to demonstrate to policymakers the importance of investing in education and for students, educators and employers to use their webtool to plan career paths, transform curriculum, and locate pools of talent. Make higher education more affordable. Make higher education more accessible. Increase higher education graduation rates. Strengthen coordination between higher education institutions and industries. Worth all the time that takes reading the report and browsing the report’s webpage and tools. A MUST see for higher education leaders. Young people today are three times as likely as their parents to be out of work. Yet many employers can’t find people with the right entry-level skills to fill their jobs. How to close the gap? In this video, McKinsey directors Diana Farrell and Mona Mourshed share insights from their research with 8,000 stakeholders. It also profiles two innovative organizations—one in India and one in the United States—that are pioneering new approaches to successfully transition greater numbers of students from education into employment. 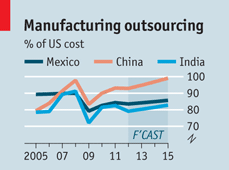 This The Economist article http://www.economist.com/news/leaders/21569739-outsourcing-jobs-faraway-places-wane-will-not-solve-wests?fsrc=nlw%7Chig%7C1-17-2013%7C4637731%7C38085276%7CNA describes the slow in tendency of outsourcing jobs and the role the right skills and competencies play. It is a very competitive landscape.